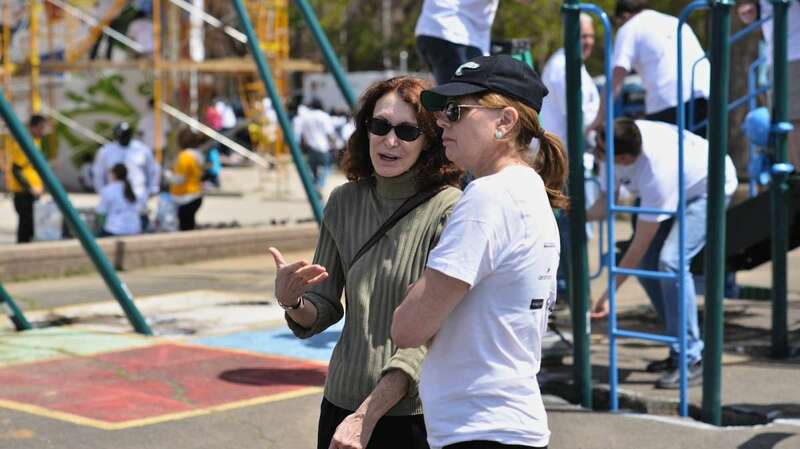 Prince Hall Elementary School’s playground underwent major renovations, and its exterior was adorned with a new mural, with help from some well-known folks on Monday afternoon. 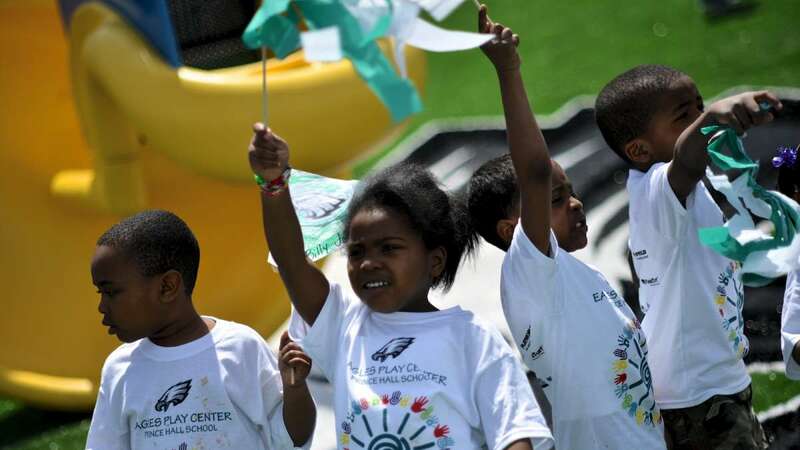 From front-office execs and coaches to players and cheerleaders, the Philadelphia Eagles turned out for the Eagles Youth Partnership’s 18th Annual “Playground Build” effort. 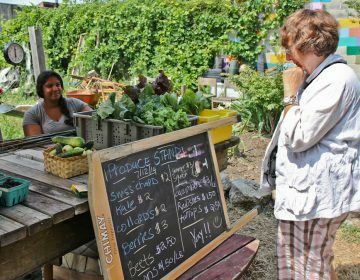 It certainly was a transformative day on North Gratz Street, in an area of Northwest Philadelphia bordering East Germantown and West Oak Lane. 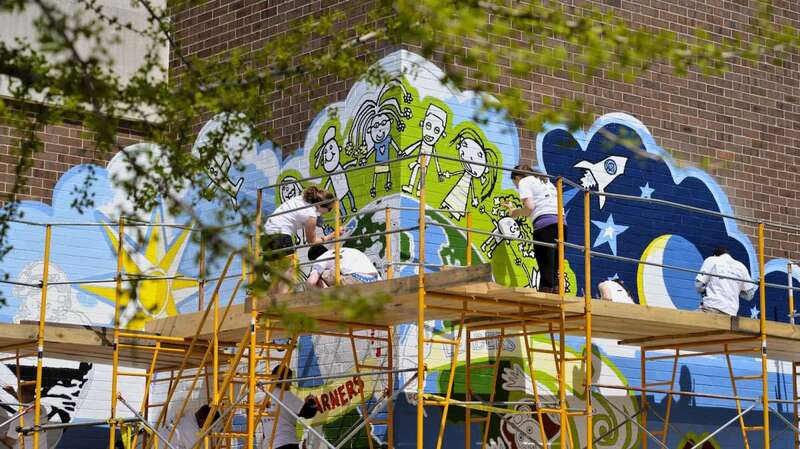 Principal Donna Ragsdale said the new “learners to leaders” mural encorporated drawings from Prince Hall students into the new outdoor collage. 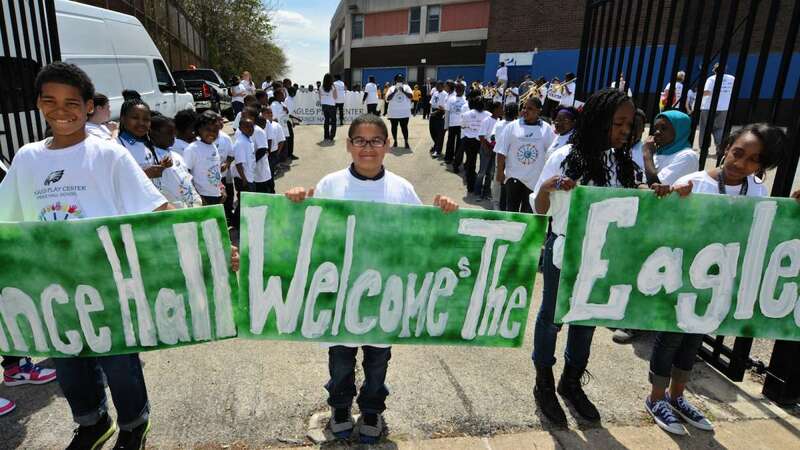 The school serves about 550 students from pre-K to fifth-grade. 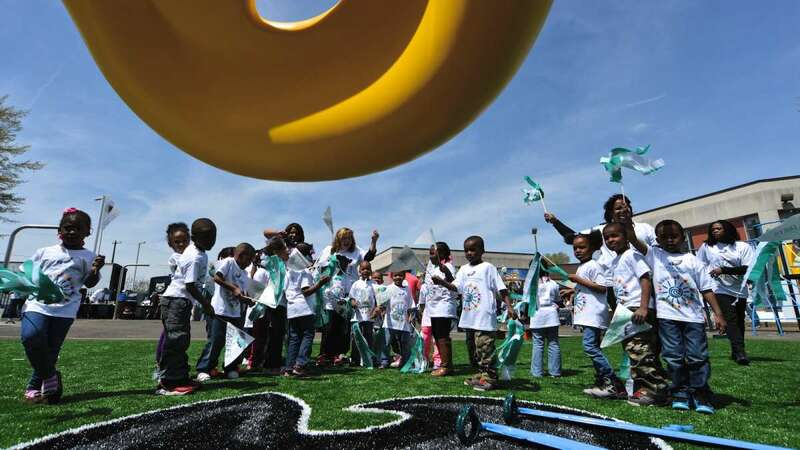 Players and gleeful students painted white, blue and neon-green shades inside black-and-white outlines on the school’s outer walls. Though much work was done, there was time for expressions of fandom, too. 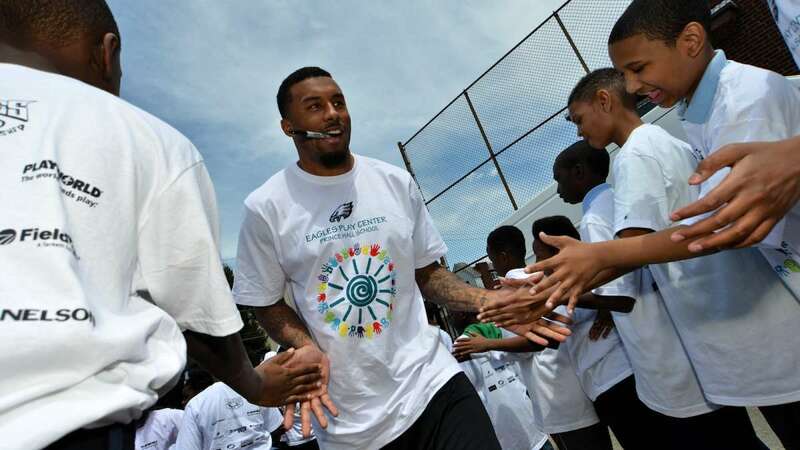 A crowd of kids and reporters swarmed Eagles quarterback Nick Foles as he walked onto the playground, to running back LeSean McCoy’s amusement. 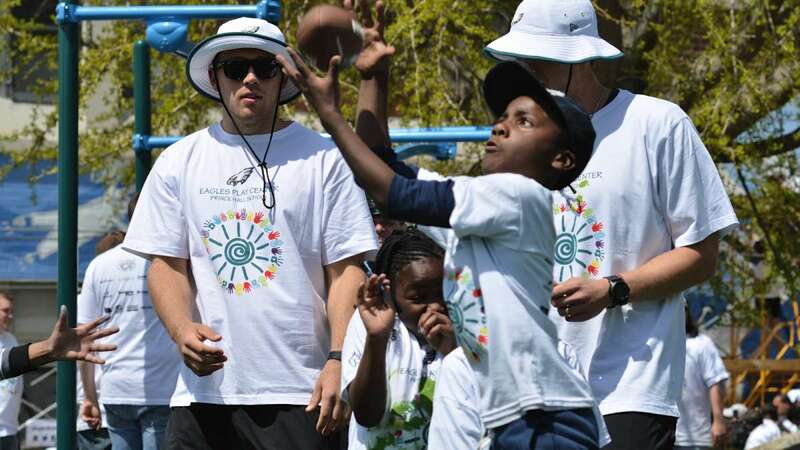 “Hey everybody, look, it’s Nick Foles!” McCoy yelled with a grin, as the children who had flanked him gave up painting to run toward the quarterback. 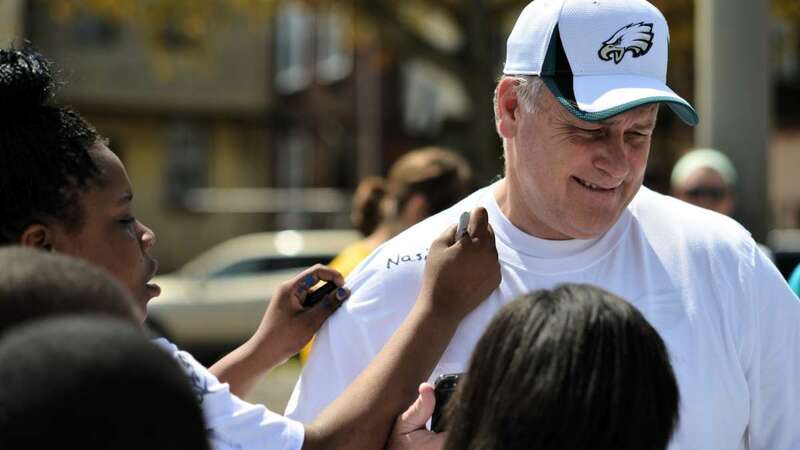 “Ain’t nothing wrong with learning how to count money,” McCoy responded. 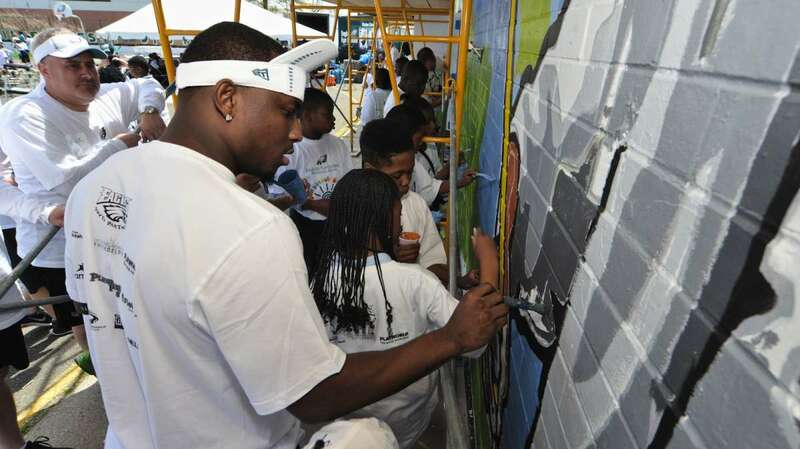 Eagles offensive tackle Jason Peters painted next to McCoy. He said he also shares a love of science and math. 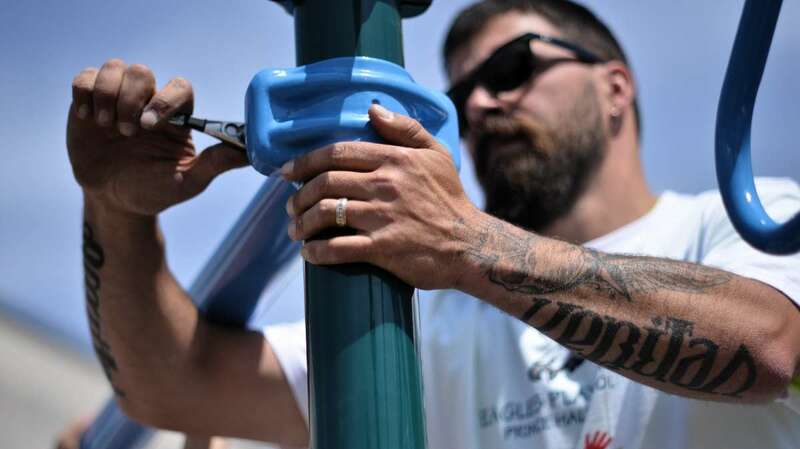 For his part, tight end Brent Celek said Prince Hall marked his sixth “Playground Build” since joining the team. 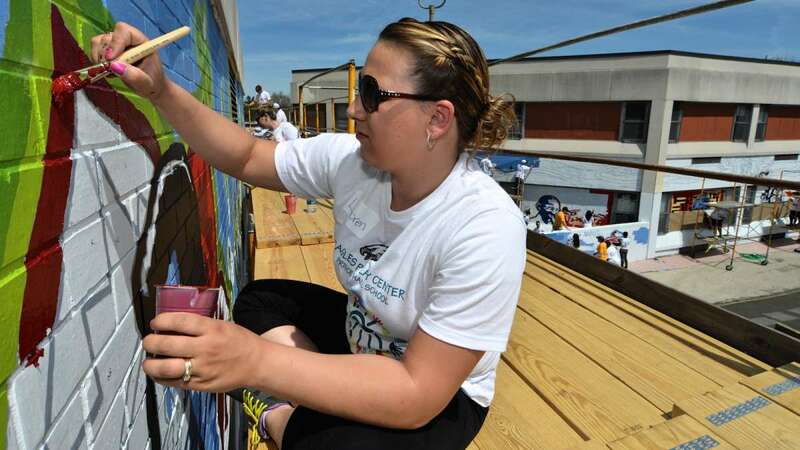 “It’s awesome to see the kids, to come to a community and make it look a little bit better and make a change, just get the spirits going,” Celek says. Rashaun Williams, 20, is a Prince Hall graduate. Serving as disc jockey for the event, he credited one of his art teachers for inspiring him to pursue music, the arts and entrepreneurship. Williams said he dropped out of college to form Phresh Philly, which promotes sustainability and community development through social activism and business leaders. 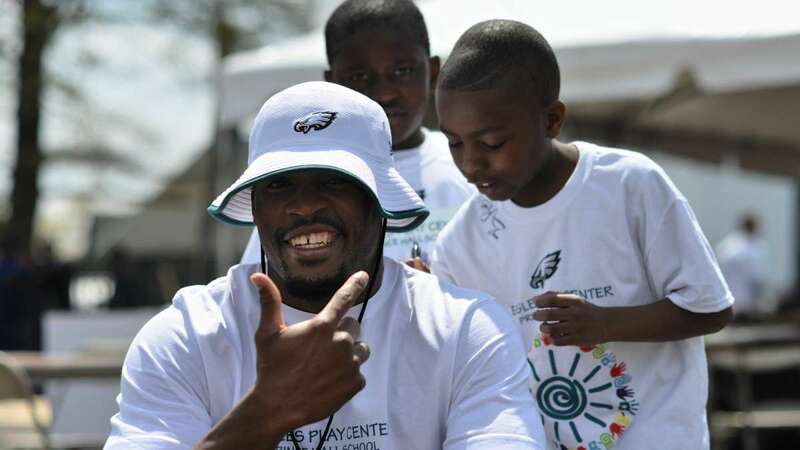 Williams said he never thought he’d see the day when the Philadelphia Eagles would help renovate his grade-school turf. 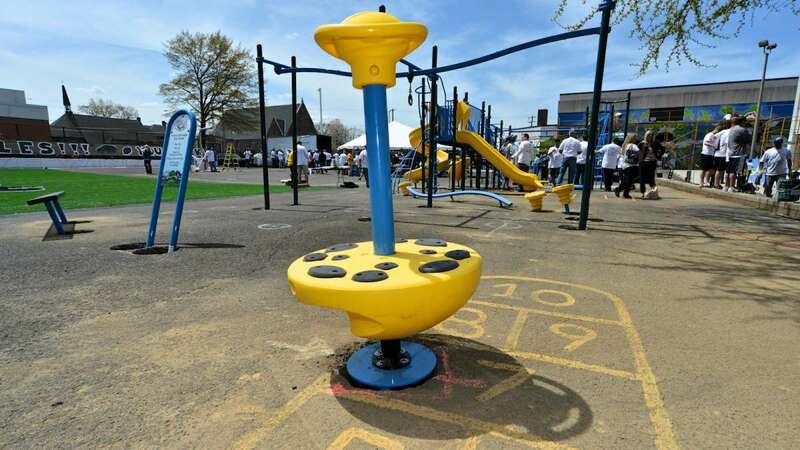 In addition to painting, the effort included inlaying mosaic tiles on benches and tables, constructing a large play structure, planting gardens and installing a turf field to provide the children with an area to play field sports.